Following is a listing of other disability-related support groups in the area, categorized by county then listed alphabetically. Disability Network is not affiliated directly with these groups but makes every effort to ensure the information provided is accurate and up to date. Please call or email the contact person for a group before attending. If you find an error in these listings, please contact Dale Abbott at Disability Network at (269) 345-1516. Low Vision Support Group meets the 2nd Monday of every month from 10:30 a.m. – 12:00 noon at the United Methodist Church, 409 Troybridge in Allegan. Call Bill at (269) 686-0290 for more information. AIM (Advanced Insulin Management) is for persons with diabetes. The group meets on the first Wednesday of each month 6:30 – 7:30 p.m. in the Community Room of Lakeland Regional Medical Center, St. Joseph. For more information call 269-556-2868 in St Joseph or 269-683-550 x2868 in Niles. AWAKE (alert, well, and keeping energetic) is a support group for those with sleep disorders. The group meets quarterly. For more information contact Lakeland EEG center at (269) 983-8209 or email awake@lakelandregional.org. Blind/Visually Impaired Support Group is for persons 60 years and up; meets 11 a.m – 1 p.m. on the 2nd Thursday of each month at the Bridgman Estates Community Room, 9955 Baldwin Road, Bridgman, MI. Sharing information about our eyes, new products for improving our daily lives, speakers… activities… helpful hints… & fellowship to enrich our lives For more information call Kay Cornwell at 269-465-6730. If you are 60 years of age and live in Bridgman, Baroda, Galien, Harbert, Sawyer, Union Pier, New Buffalo, Three Oaks area the River Valley Senior Center will provide transportation. Berrien County Cancer Service United Ostomy Support Group meets 1:30 p.m. on the 1st & 3rd Tuesdays of the month at Berrien County Cancer Service Office, 7301 Red Arrow Hwy, Stevensville. Call (269) 429-3281 or 465-5257 for more information. Brain Injury Support Group Brain Injury Association of Michigan St. Joseph chapter meets at 6:30 p.m. on the 2nd Monday of the month at Lakeland Medical Center, 1234 W. Napier Ave., St. Joseph. Survivors, family members and caregivers are welcome to attend. Brain Injury Support Group meets at 6:30 p.m. on the 1st and 3rd Tuesdays of the month. For more information contact Jayne Daniel at 269-208-2862 or Sheryl Hausmann at 269-208-1560. Celiac Support Group meets the 2nd Saturday of each month from 1:00 – 3:00 p.m. in the Lawrence Room at Lincoln Township Library, 2099 W. John Beers Road, Stevensville. Contact Elaine Fowler (269) 429-6320 for more information. Depression & BiPolar Support Alliance (DBSA) meets every Monday at 6:00 p.m. at Trinity Lutheran Church, 619 Main Street, St Joseph. Contact Matt or Genna; phone: (269) 202-7275. Depression & Bipolar support group in meets every Thursday from 6:30 – 8:30 pm at First Baptist Church 4146 E. Main St., Niles.Contact Matt or Genna; phone: (269) 202-7275. Depression & BiPolar Support Alliance Paw Paw Lake Peer Support Group meets the 1st and 3rd Wednesday of each month from 6:00 p.m. – 8:00 p.m. at the Coloma United Methodist Church, 144 S. Church Street, Coloma. Contact Matt or Genna; phone: (269) 202-7275. Diabetes – Family Group for parents and kids with type I diabetes. Meets on the 2nd Tuesday of each month from 7:00 – 8:00 pm. Call Francine for location, time and more information at (269) 757-2310. Divine Divas is a support group is open to women with developmental disabilities. The group meets the 2nd Friday of every month from 11:00 – 1:30 at Riverview Park Christian Church at 2929 Niles Rd, St. Joseph, MI. 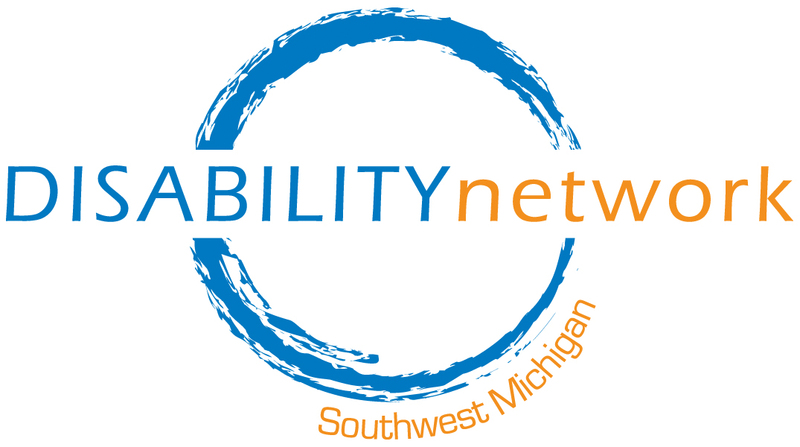 Facilitated by Disability Network Southwest Michigan; contact Cindy Gray for more information (269) 985-0111. Good Grief is a bereavement support group that covers topics such as how to cope with loss, guilt, and regret; why you feel the way you do; and finding a sense of peace. Each seven-week session meets for one and a half hours of meaningful information and sharing. Sessions are held in St. Joseph, Niles/Buchanan, and South Haven. For more information about meeting times and locations call Lory’s Place at (269) 983-2707. Hearing Loss Association – SW Michigan Chapter meets first Thursday of April through November from 7:00 to 8:30 p.m. at The Chapel Room C214 4250 Washington Ave.,St Joseph, MI 49085 For more information contact Darl G. Williams wilwible@comcast.net or St-Joseph@hearingloss-mi.org. Hope & Healing is an open ended bereavement group facilitated by a Caring Circle Bereavement Coordinator that meets twice a month. This group is open to any adult who is grieving a loss, whether newly bereaved or further along in the grief journey. Meets in the Community Room at Lakeland Hospital in St. Joseph on the 2nd & 4th Tuesday of every month from 4:30-6:00 p.m. For more information call Lory’s Place at (269) 983-2707. Interstitial Cystitis Support Group of Michigan meets at 7:00 p.mm on the 3rd Thursdays of each month (no meetings in January, February, June, July, and August) in the Frederick S. Upton Center, Room 1, Lakeland Hospital, St. Joseph. Call (269) 429-8860 for more information. Juvenile Diabetes Support Group meets 2nd Tuesday of each month at 7:00 p.m. Call Brenda at (269) 556-1322 for more information. Kiddos with ADHD Parent Support Group helps parents of ADHD children connect, share resources and support one another. Registration is required. See this website for more information: www.bellaadhdcoaching.com/kiddos-with-adhd-parent-support-group. Lupus Support Group meets the 3rd Thursday of the month from 5:00 – 6 p.m. Southern Lake Michigan Chapter of the Battle Creek Lupus Support Group. Call Dorothy at (269) 565-0881 for more information. NAMI National Alliance for the Mentally Ill is for people with mental illness & their family members. They meet the 3rd Thursday of each month from 5:30 – 7:00 p.m. at First Church of God, 2627 Niles Avenue, St. Joseph. Parkinson’s Disease Support Group meets the 2nd Thursday of every month at 3:00 p.m. at Lakeland Medical Center, Upton Center Conference Room #1, 1234 Napier Road, St. Joseph, MI 49085. Contact Barbara Ford at (269) 429-3675 for more information. Schizophrenics Anonymous meets 10:30 a.m. on Tuesdays at Consequential Minds Drop In Center, Benton Harbor. Call John Reed at (269) 925-7446 for more information. Shadow Steppers is an open ended bereavement group facilitated by a Caring Circle Bereavement Coordinator that meets once a month for 1 1/2 hours. All who are traveling through their grief journey are invited to take part in the healing process within this comforting supportive environment. Groups are held in South Haven, Buchanan and St. Joseph. For more information about meeting times and locations call Lory’s Place at (269) 983-2707. Sickle Cell support group. contact Kay Lindsay at (269) 927-5629 for more information. Diabetes Support Group meets the 2nd Monday of each month from 6:30 – 8:00 p.m. at Community Health Center, 274 E. Chicago Street in Coldwater. Call (517) 279-5335 for more information. Arthritis Support Group meets the 3rd Tuesday of every month at 2:00 pm at Burnham Brook Community Center, Battle Creek. Contact Annie at Senior Health Partners at (269) 441-0920 for more information. Bi-polar Disorder Support Group meets the 2nd & 4th Tuesdays of each month from 6:30 – 8:00 p.m. at Kool Family Community Center, Battle Creek. Call Fred Morris at (269) 963-4588 for more information. Continuous Positive Airway Pressure (CPAP) meets 12:00 – 1:00 p.m., 2nd Wednesday of the month; Kool Family Community Center, 200 W. Michigan Ave. For more information, call 269-441-9082. ­Diabetes – Carry On meets 9 to 10 a.m. on the 3rd Thursday of the month at Bronson Battle Creek Diabetes Education Center, 363 Fremont St., Suite 109. For more information, call 269-245-8190. Diabetes Support Group – Albion meets 2nd Thursday 1:30-2:30 at Forks Senior Center. Contact Sue Lackey (269) 441-9343. Diabetes Support Group – Battle Creek meets 3rd Thursday, 9:00-1:00 a.m. at BBC Med Office Bldg, Ste 109. Contact Front Desk (269) 245-8190. Low Vision Support Group meets the 3rd Monday of every month at 9:45 a.m. -11:15 at North Pointe Woods, 700 100th Avenue. Call Murial Walters at (269) 209-9476 for more information. Lupus Support Group meets the 3rd Thursday of every month from 5:00 – 6:00 p.m. at Kool Family Community Center. For more information contact Senior Health Partners (269) 441-0948. Mental Health – Family Support Group meets the first Wednesday of each month from 6:30 to 8:00 p.m. in Marshall, in the lower-level Board Room of the Wright Medical Building adjacent to Oaklawn Hospital. This is a group for families of individuals with a mental health diagnosis like depression, bipolar disorder, schizophrenia, anxiety or substance abuse issues. Email ghaff99432@aol.com for details. NAMI – Mental Illness Support Group meets the third Monday of every month from 6:30 to 8:00 p.m. at the First United Methodist Church (111. E. Michigan Avenue, Battle Creek). This support group is free to help people who deal with depression, bipolar disorder, schizophrenia, PTSD, anxiety or issues involving substances or live with or support those who do. For more information, email ghaff99432@aol.com or go to NAMI’s website, www.nami.org. Parkinson’s Disease Support Group meets the 3rd Tuesday of every month at 10:00 – 11:30 a.m. at Kool Family Community Center. Contact Anne Clark (269) 441-0920 for more information. Parent Support Group meets the 3rd Thursday of every month from 6:16 – 8:00 p.m. at Burnham Brook Community Center, Battle Creek. Facilitated by Parent to Parent of Southwest Michigan. For more information contact Rubantay Johnson at rubontay.johnson@p2pswmi.org or (269) 350-2756 (direct) or (269) 345-8950. Spinal Cord Injury schedule varies. For information contact Karen Halsted (269) 345-1516. Stroke Group Suport meets monthly on the 3rd Thursday of each month, 1:00-2:00 p.m. at the Kool Family Center on the 2nd floor (200 W. Michigan Ave., Battle Creek). For more info call: 269-441-0957. Young Onset Parkinson’s Disease Support Group meets the 1st Thursday of every month from 4:30 – 6:00 p.m. at Cool Family Community Center. Call Ann Clark at (269) 441-0920 for more information. Low Vision Support Group meets the 1st Wednesday of each month from 1:00 – 3:00 p.m. at the Cass County Council on Aging, 60525 Decatur Road, Cassopolis. Call Brenda at (269) 445-8110 for more information. Get support and learn from others who are living with low vision. Multiple Sclerosis (MS) Support Group meets the 3rd Tuesday of each month from 1:00 – 3:00 p.m. at the Cass County Council on Aging, 60525 Decatur Road, Cassopolis. Call Brenda at (269) 445-8110 for more information. People with Multiple Sclerosis and their loved ones share support and learning opportunities in this group. Parkinson’s Disease Support Group meets the 2nd Tuesday of the month from 1:00 – 3:00 p.m. at the Cass County Council on Aging, 60525 Decatur Road, Cassopolis. Call (269) 445-8110 or (800) 323-0930 for more information. People Who Had a Stroke & Loved Ones Support Group meets the 1st Tuesday of the month from 1:00 – 3:00 p.m. at the Cass County Council on Aging, 60525 Decatur Road, Cassopolis. Contact Brenda (269) 445-8110 x248. 3rd Tuesday of each month from 7:00 – 8:30 pm at Portage Senior Center, 320 Library Lane, Portage. Respite care is available on site. Amputee Support Group: Call Hangar Prosthetics at 269-345-1117 for information about their Peer Empowerment program. Website: www.empoweringamputees.org; Contact Jen Lacy: ph (517) 740-0572 or email jlacey@hanger.com. Aphasia Support Groups: A variety of groups meet for individuals with aphasia as well as a group for spouse/friends/caregivers of people with aphasia. For more information contact Sandra Glista at sandra.glista@wmich.edu or 387-8064. Attention Deficit/Hyperactivity Disorder Support Group: CHADD of Kalamazoo meets the 2nd Tuesday of each month from 7:00 – 8:30 p.m. at KRESA, 1819 E. Milham Road. Website: www.kazoochadd.com. No December meeting; no June – August meetings. Blind & Visually Impaired Support Group meets the 1st & 3rd Wednesday of each month from 10:30 a.m. – 12:00 noon at Senior Services, 918 Jasper Street, Kalamazoo. Transportation provided. Call (269) 553-4960. Brain Injury Survivors Group This support group is open to adults with a brain injury. This group is a chapter of the Brain Injury Association of Michigan and is very active. The group meets weekly to discuss a variety of topics, host speakers, and attend outings. The group meets every Thursday from 1:30 p.m. – 3:30 p.m. in the Community Building at Disability Network’s Kalamazoo office at 517 E. Crosstown Parkway. Contact Mona Khaled for more information at (269) 345-1516 x103. Celiac’s Disease Support Group meets the 2nd Tuesday of each month at 7:00 pm at the Gilmore Education Center at Bronson Hospital. The group is for anyone who follows a gluten-free/wheat free diet because of Celiac’s Disease, autism, or any other reason. Call (269) 492-5278 or (269) 342-1533 for more information, or visit www.glutenfreekzoo.org. Depression & Bipolar Support Alliance meets every Monday from 7:00 – 9:00 p.m. at Chapel Hill United Methodist Church (S.W. corner of Romence & Oakland Drive, Portage). For more info visit www.dbsakazoo.org or contact (269) 599-2782 or dbsa.kalamazoo@yahoo.com. Hearing Loss Association – Kalamazoo Chapter meets the 2nd Saturday of each month at 9:30 a.m. at Blue Dolphin. Contact (269) 342-2134 or kalamazoo@hearingloss-mi.org or for more information. Hearing Voices Network meets every Thursday from 12:00 – 2:00 p.m. at the Recovery Institute, 1020 S. Westnedge, Kalamazoo. Provides support and recovery techniques for anyone hearing voices, having visual experiences, unusual beliefs and/or self injury. Call Amber at (269)343-6725. Huntington’s Disease Support Group meets at First Congregational Church, 129 S. Park Street, Kalamazoo, 49007. Contact Sara for more information at (269) 381-7725. Laryngectomy Support Group meets the 3th Saturday of every quarter at 10:00 a.m. at Oakwood Neighborhood Assocation, 3320 Laird Ave, Kalamazoo. Call Tom at (269) 303-1823. Mental Health Peer Support Groups through the Recovery Institute of Southwest Michigan: Includes a Vet-to-Vet Peer Support Group. Go to www.recoverymi.org. Multiple Sclerosis Support Group: HOOPLA (Hope On Our Path through Life’s Adventure) meets the 2nd Saturday of every month from 11:00 a.m. – 12:30 p.m. at the Borgess Health & Fitness Center, 3025 Gull Road, Kalamazoo. Call (269) 382-4991, (269) 668-4248 or (269) 321-0868 for more information. Multiple Sclerosis Support Group meets the 2nd Saturday of the month from 11:00 am – 12:30 pm at the Bronson Athletic Club, 6789 Elm Valley Drive , Kalamazoo, MI 49009. The group is for people with multiple sclerosis and their support people. For more information, call Bronson Health Answers at (269) 341-7723. Go to www.bronsonhealth.com. Muscular Dystrophy Support Group meets the 2nd Wednesday of each month from 7:00 – 8:30 p.m. at Bronson Gilmore Center Forum Room A. Call (616) 459-4331 for more information. NAMI of Kalamazoo (National Alliance on Mental Illness) is a self-help and advocacy group that meets the first Thursday of most months at Pathways, 119 W. Vine Street, Kalamazoo. The meeting starts at 6:30 p.m. Contact Mike for more information at (269) 806-0275. Obsessive-Compulsive Anonymous (OCA) Support Group meets every Thursday, 3:00 – 4:00 p.m. at the Recovery Institute, 1020 S. Westnedge Ave, Kalamazoo. Share lived experiences and recovery from obsessive-compulsive thoughts & behaviors in supportive 12-step environment. Call Terry or Grayce for more information. (269) 343-6725. Parent to Parent of Southwest Michigan (P2P) parent group meets monthly at the Portage Chapel Hill United Methodist Church, 7028 Oakland Drive, Portage from 6:00 – 8:00 p.m. on the first Thursday of every month (October – May). Call (269) 345-8950 for more information. Childcare is available. Parkinson’s Disease Support Group meets on the 2nd Tuesday of every month from 4 to 5 p.m. Location may vary. For more information, contact (269) 341-7500. Phenomenal Women: A Women with Disabilities Support Group is open to women with any type of disability. Women are welcome to come share experiences of living with a disability, support other women living with a disability and discuss a variety of topics of interest in a safe, nonjudgmental environment. The group meets every Tuesday from 11:00 a.m. – 12:30 p.m. in the Community Building at Disability Network’s Kalamazoo office, 517 E. Crosstown Parkway. Call or e-mail Mona Khaled for more information at (269) 345-1516 x103. Reflex Sympathic Dystrophy syndrome (RSD) meets every other Wednesday from 6:00 – 8:00 p.m. at the Parchment Community Library, 401 S. Riverview Drive in Parchment. For more information, call Colleen Westra at (269) 381-2283. Schizophrenics Anonymous meets the every Tuesday of each month from 4:00 – 5:00 p.m. at Pathways, 119 W. Vine Street, Kalamazoo. Call (269) 342-0173. Spinal Cord Injury Support Group does not meet regularly. They host occasional adapted recreational events and other seasonal events hosted by All American Roll Models. Members of this group are available for 1:1 support via phone or in person. For more information about SCI support, e-mail Brian at BrianLCulver@yahoo.com. Stroke Survivor Support Group meets 11:00 a.m. – noon the third Thursday of each month (except July and August) at Bronson Methodist Hospital’s Gilmore Center for Health Education, 7 Healthcare Plaza, Kalamazoo. Call (269) 341-7500 or visit www.bronsonhealth.com/stroke for more information. Autism Family Support Group meets the 4th Monday of every month at 6:30 p.m. at the Community Mental Health building in Centreville. Contact Lynelle Thrasher at (269) 467-1000 for more information. Sturgis – meets the 3rd Monday of each month from 6:30 – 8:00 p.m. at Thurson Woods, 307 N. Franks Avenue. Respite care is available on site. Three Rivers – meets the 2nd Tuesday of each month from 7:00 – 8:30 p.m. at St. Joseph County Commission on Aging, 103 S. Douglas. Stroke Club meets the first Tuesday of every month from 10:00 – 11:00 a.m. at the Rehab Dining Room in the main hospital at Three Rivers Health, 501 S. Health Parkway, Three Rivers. This is an education and support group for stroke survivors and their families. For more information, contact Chris Johnson at (269) 273-9681. Low Vision Support Group meets the 1st and 3rd Thursday at 1:00 p.m. at the Paw Paw Lion’s Club, 227 CR 665, Paw Paw. It is sponsored by Senior services of Van Buren County. For more information, call (269) 655-8000. Visually Impaired Persons Support Group meets on the 2nd and 4th Thursdays of each month at 1:00 p.m. Meeting location is the Warren Senior Center, 540 Williams Street, South Haven. Contact Ray Llorens (269) 637-1418.